Secret Service agent Samuel Ivanovich, who interviewed Zhang on the day of her arrest, testified at the hearing. He stated that when another agent put Zhang's thumb-drive into his computer, it immediately began to install files, a “very out-of-the-ordinary” event that he had never seen happen before during this kind of analysis. The agent had to immediately stop the analysis to halt any further corruption of his computer, Ivanovich said. The analysis is ongoing but still inconclusive, he testified. “She lies to everyone she encounters,” prosecutor Rolando Garcia told the court, according to CNN. Zhang's federal public defender, Robert Adler, contented there was no evidence his client was a spy. “She did not have the type of devices that can be associated with espionage activities,” Adler said, according to The Washington Post. Federal prosecutors said they have made no allegations Zhang was involved in espionage. The 32-year-old woman was arrested last weekend after giving conflicting reasons for her visit to the president's club. She initially told a US Secret Service agent she was there to use the pool. A Mar-a-Lago security manager waved her past a security checkpoint after a “potential language-barrier issue” raised the possibility she was the daughter of a member who had the same last name. Once inside, Zhang allegedly told a receptionist she was there to attend a United Nations Chinese American Association event later that evening. After the receptionist confirmed no such event was scheduled to take place, Secret Service agents questioned her. They eventually arrested her on charges of lying to a federal officer and entering restricted property. Monday's testimony from the Secret Service raises questions about the security practices that the agency takes in protecting its computers against malware infections. The statement that an agent examining the seized thumb drive had to “immediately stop the analysis to halt any further corruption of his computer” is especially concerning. It suggests that the agent connected the drive to the same computer used for official Secret Service work. 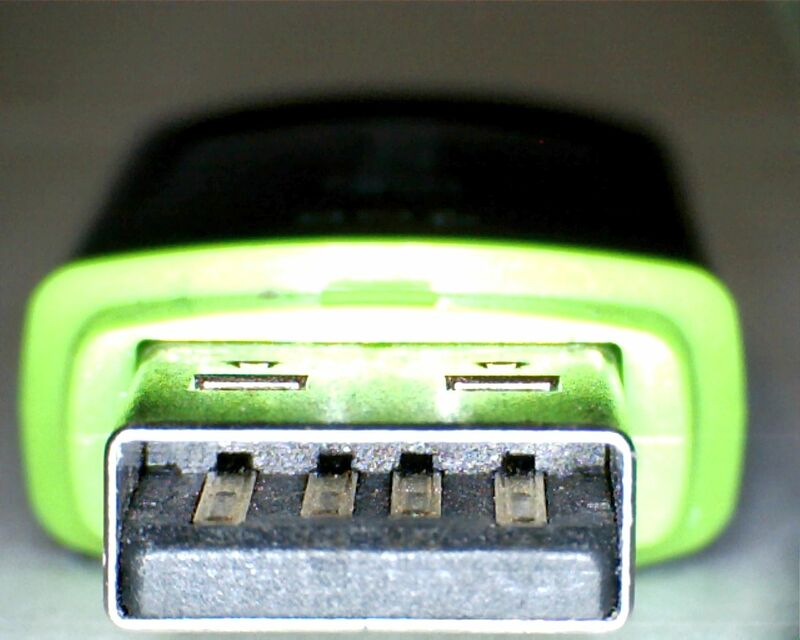 Typically, USB drives and other computer peripherals from unknown sources should only be analyzed using laboratory equipment that's specifically designated for such purposes. Thumb drives have long been used as ways to surreptitiously infect computers. The Stuxnet worm is the best known example of malware that was able to jump from thumb drive to a computer. While the Windows feature that allowed Stuxnet to spread has been locked down, security experts continue to view thumb drives as a major potential carrier of malware infections. “No outside devices, hard drives, thumbdrives, et cetera would ever be plugged into, or could ever be plugged into, a secret service network,” the official said. Instead, devices being analyzed are connected exclusively to forensic computers that are segregated from the agency network. Referring to the thumb drive confiscated from Zhang, the official said: “The agent didn’t pick it up and stick it into a Secret Service network computer to see what was on it.” The agent didn't know why Ivanovich testified that the analysis was quickly halted when the connected computer became corrupted.